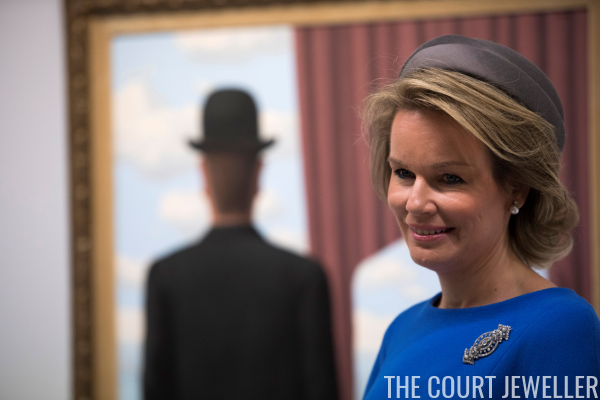 Queen Mathilde of the Belgians is in Paris today, attending an exhibition dedicated to the Belgian surrealist painter Rene Magritte at the Centre Pompidou. 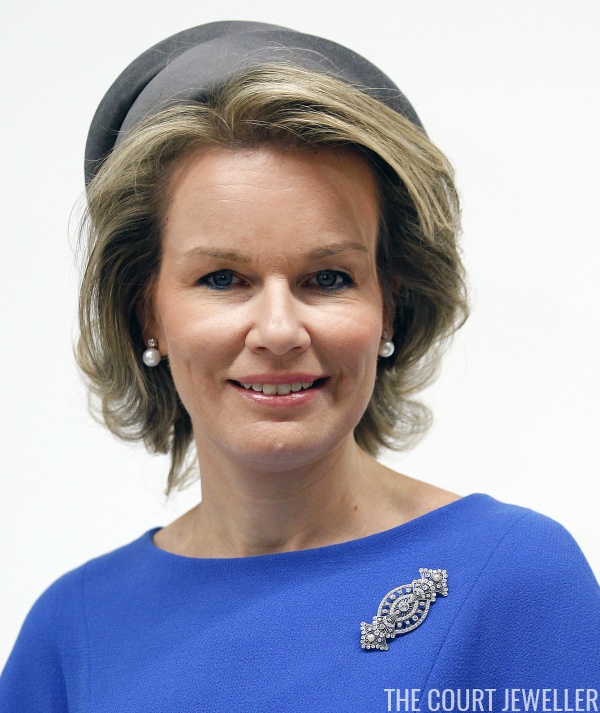 For the occasion, she wore one of her most interesting brooches: a large diamond and pearl piece. 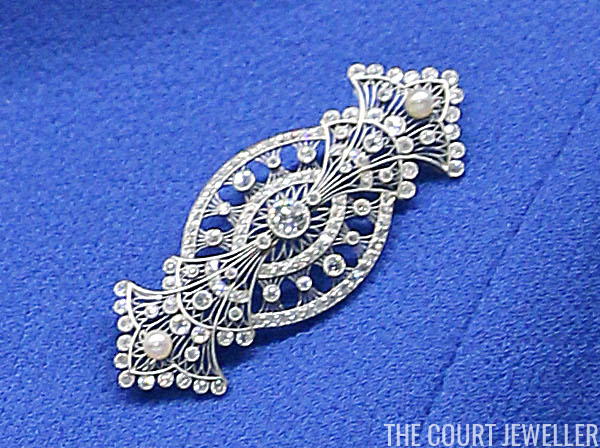 Mathilde debuted this diamond and pearl brooch last year on her birthday. (Possibly a birthday gift? We don't really know.) She's worn it a number of times since, both as a brooch and as a hair ornament. For this museum visit, she paired it with classic diamond and pearl earrings. Here's a pretty decent close-up of the piece. You can clearly see here that each end consists of delicate, lacy fan motifs, and that a single pearl is set at each end of the brooch. You can also see that the largest (and loveliest) stone in the piece is the round diamond set right in the center.